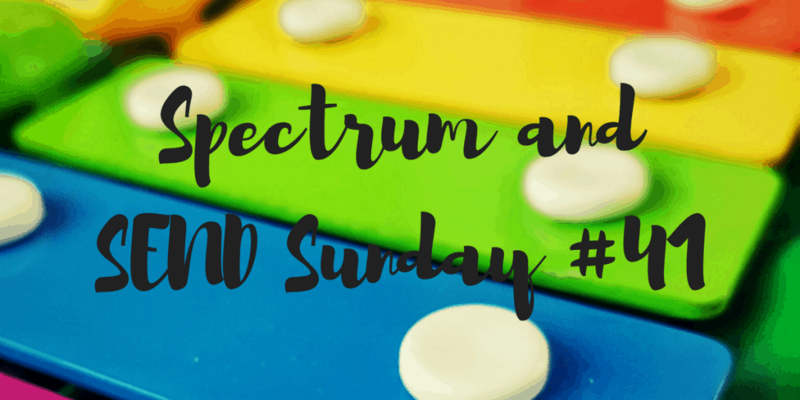 Hello and welcome to Spectrum and SEND Sunday 41. This week, I am linking ‘What if he never loves her?’ and ‘Can I hate autism?’ We have had a tough few days here with Biggest’s return to nursery after the holidays. Nothing seems right – food is the wrong colour, the wrong shape, is ‘broken’. We had an awful meltdown at a supermarket because one week we didn’t need onions and the next we did. And meanwhile, things are in full-swing to get an EHCP in place before school starts in September. It’s all pretty daunting but we soldier on. Our favourite post from last week was “Don’t feel sorry for me” from Tori Story. This is a post that will resonate with many of SEND parents. We don’t need sorrow or pity for our children. Though life can be harder, our children are our joy.